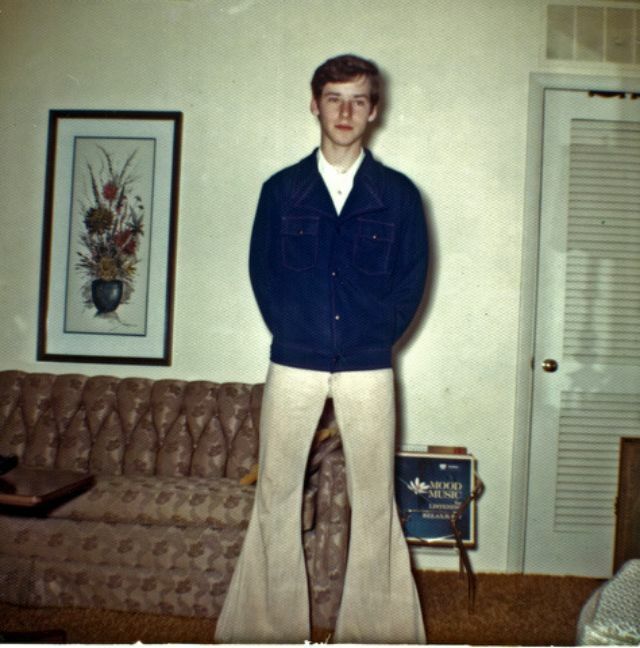 Bell-bottoms (or flares) are a style of trousers that become wider from the knees downward, forming a bell-like shape of the trouser leg. It became fashionable for both men and women in Europe and North America in the mid-1960s. In the 1970s, bell-bottoms moved back into mainstream fashion; Sonny and Cher helped popularize bell-bottoms in the US by wearing them on their popular television show. 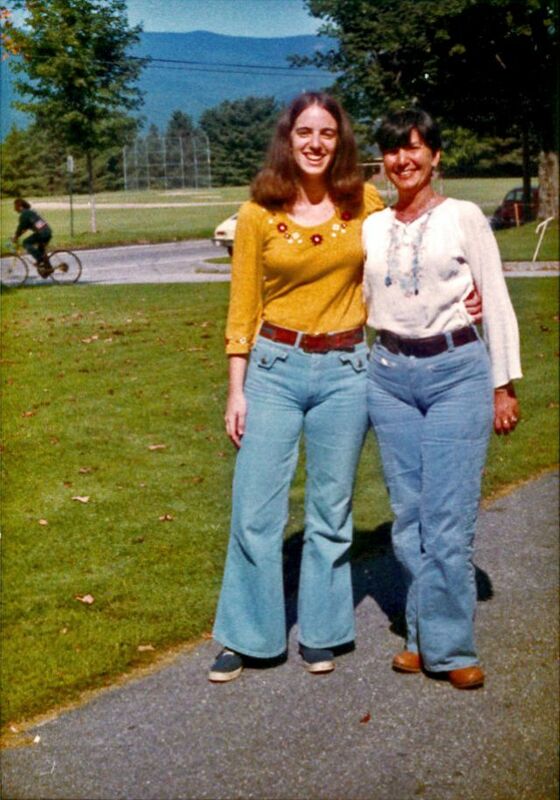 The pants were typically flared from the knee down, with bottom leg openings of up to twenty-six inches. 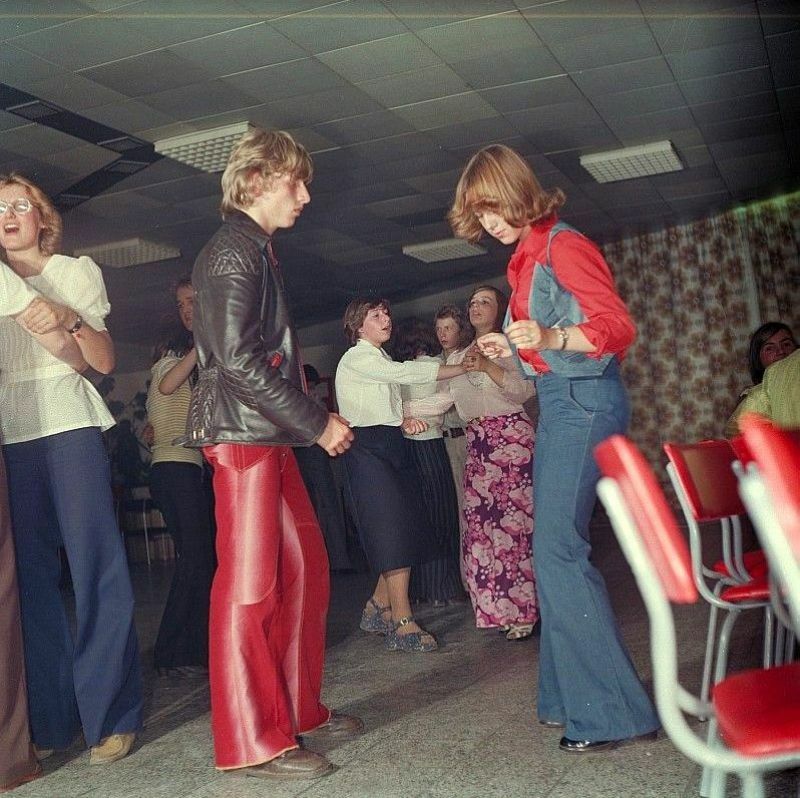 Made from denim, bright cotton and satin polyester, they were so popular that they became a symbol of the outlandish and colorful style of the decade. 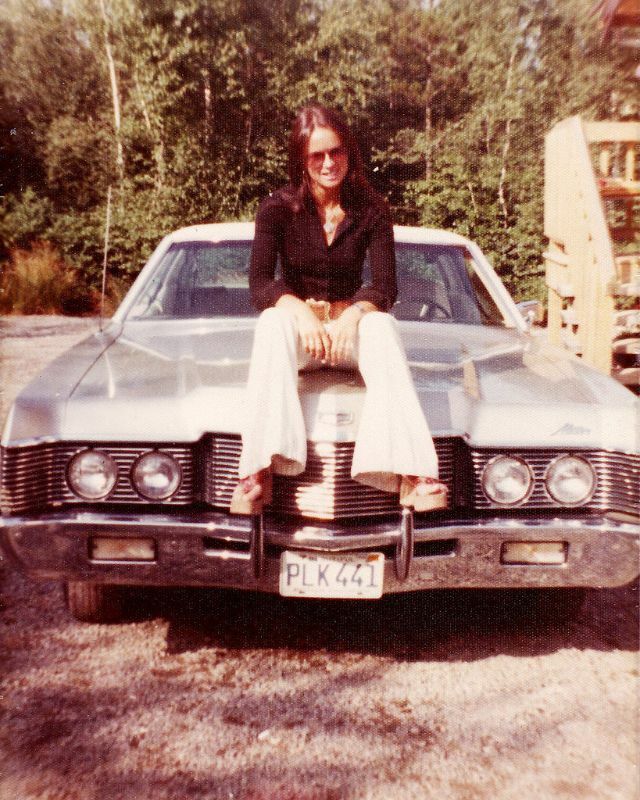 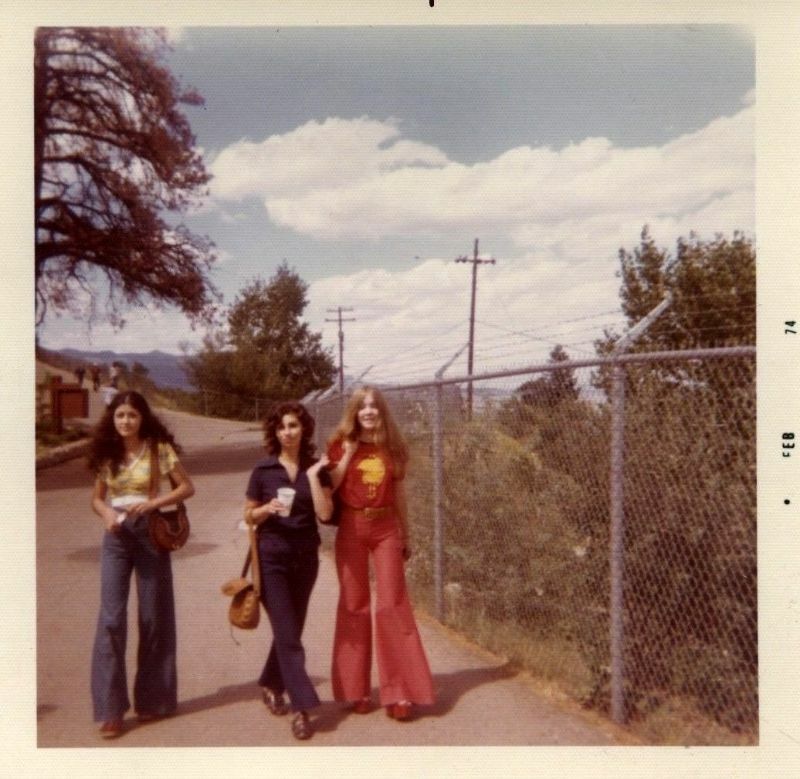 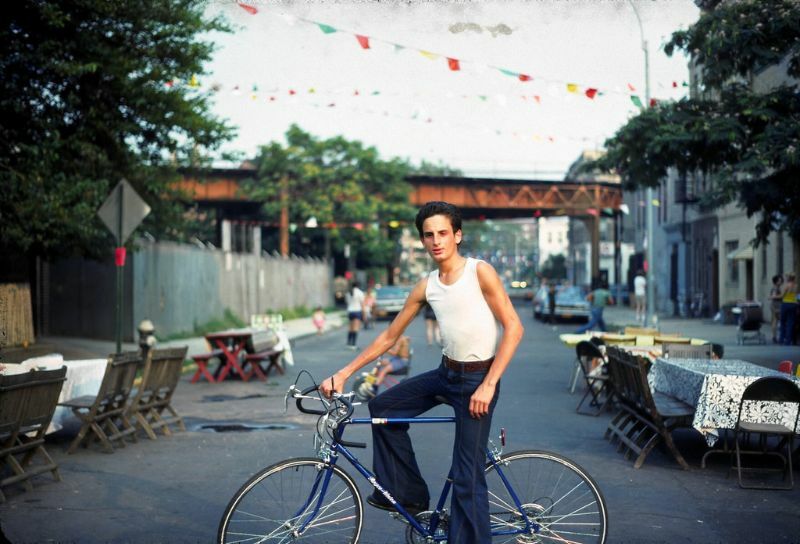 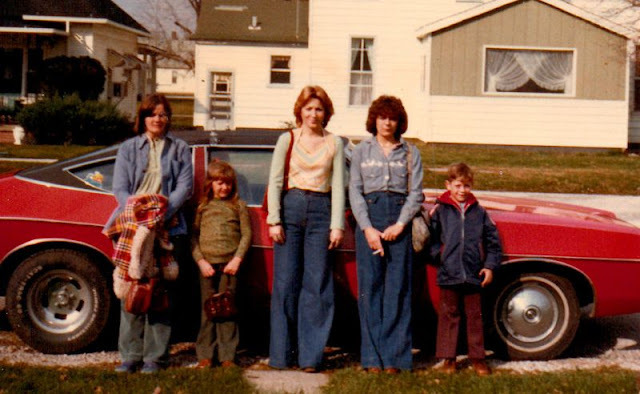 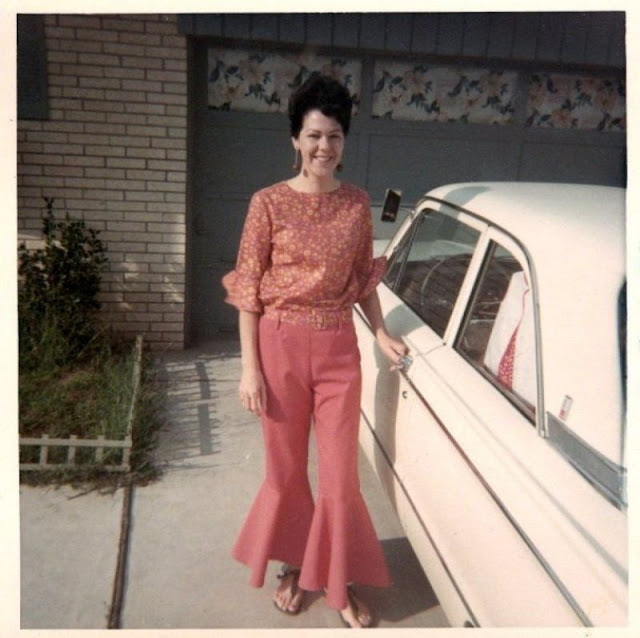 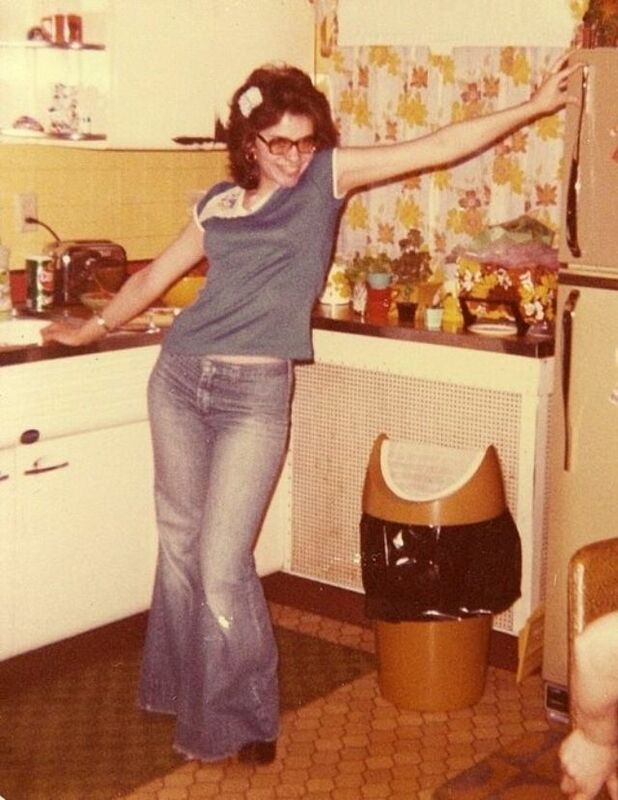 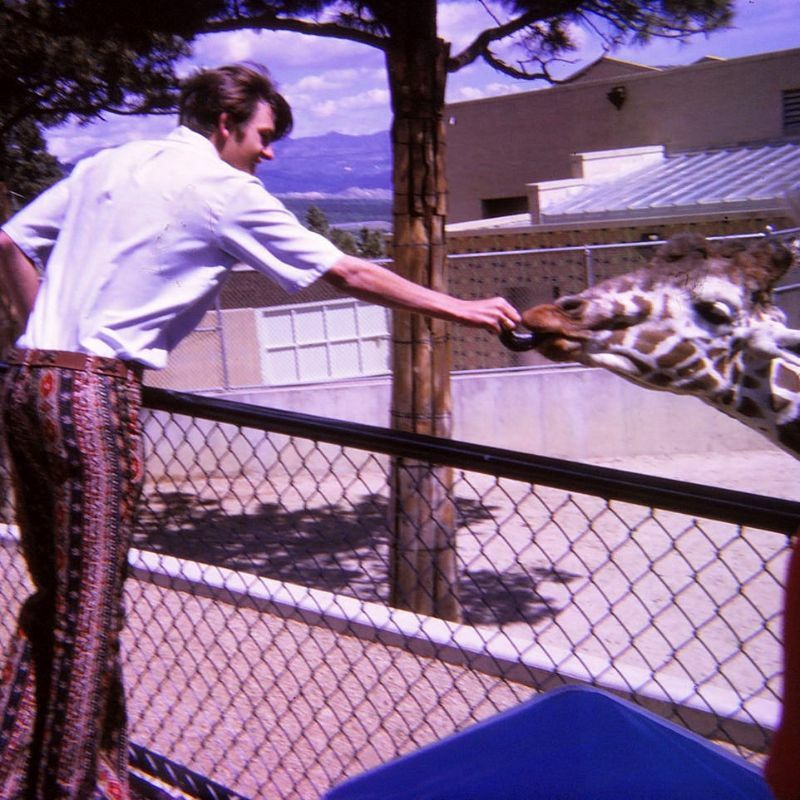 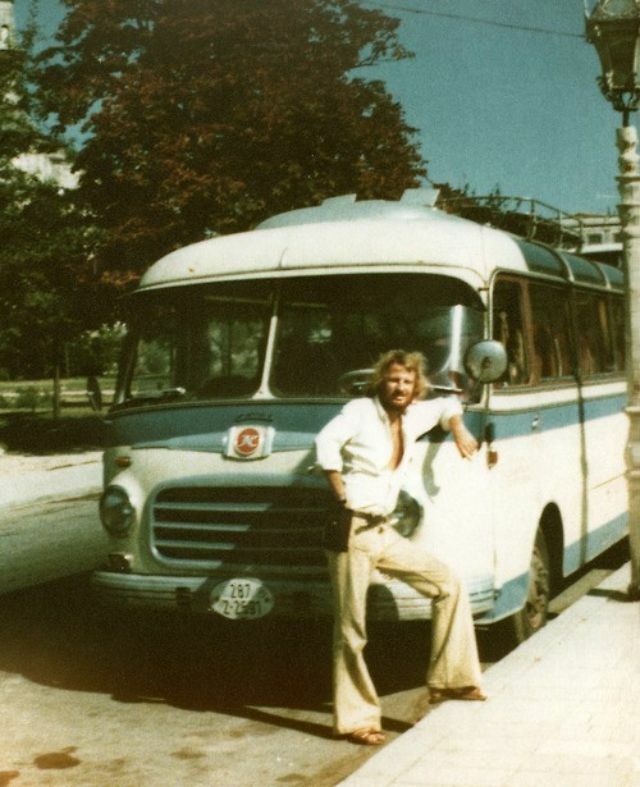 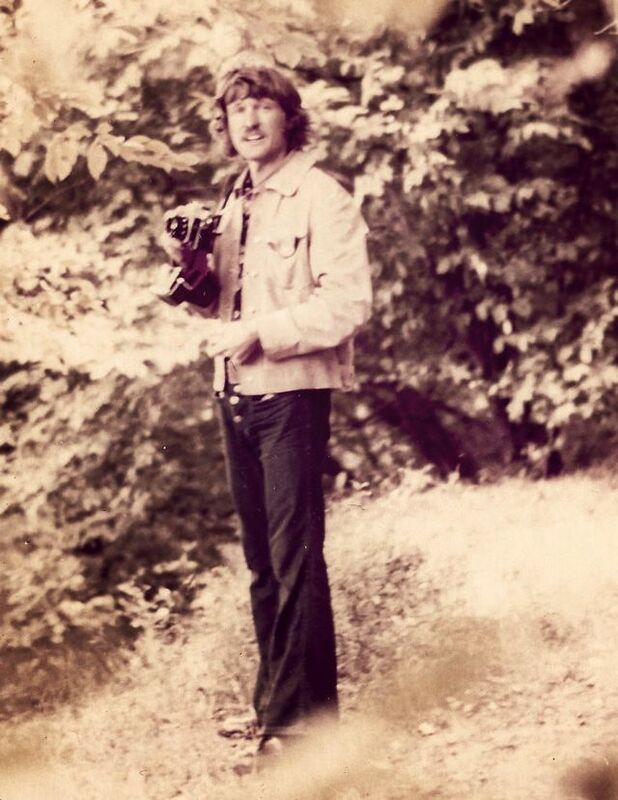 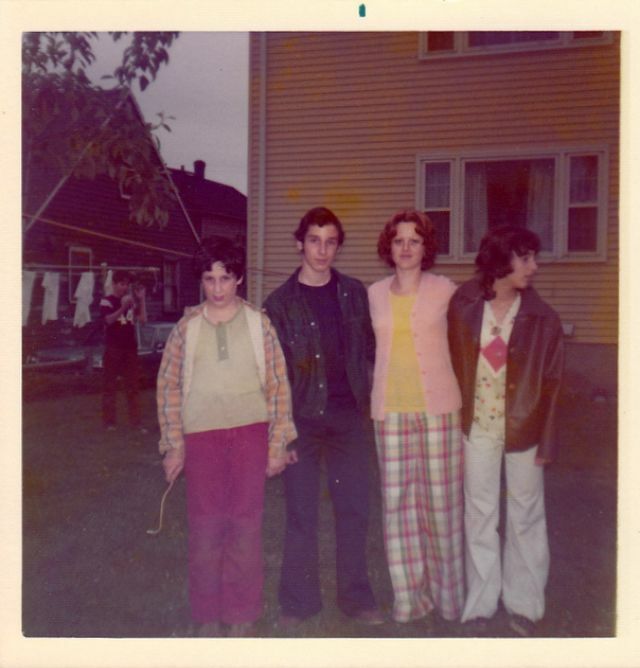 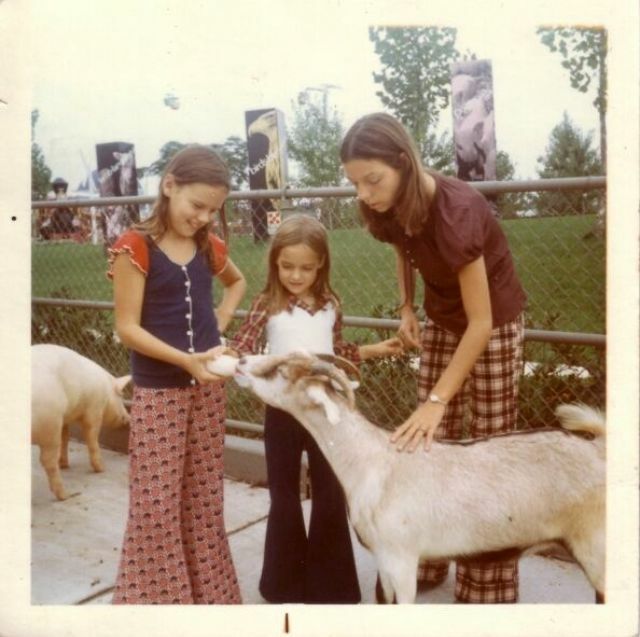 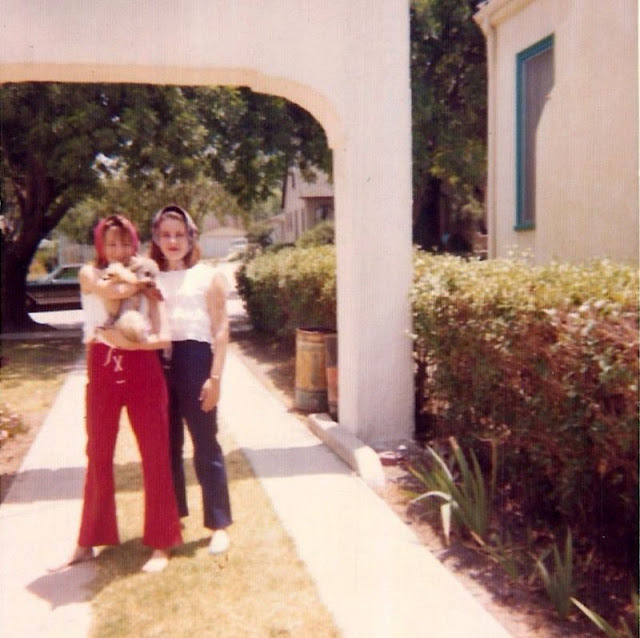 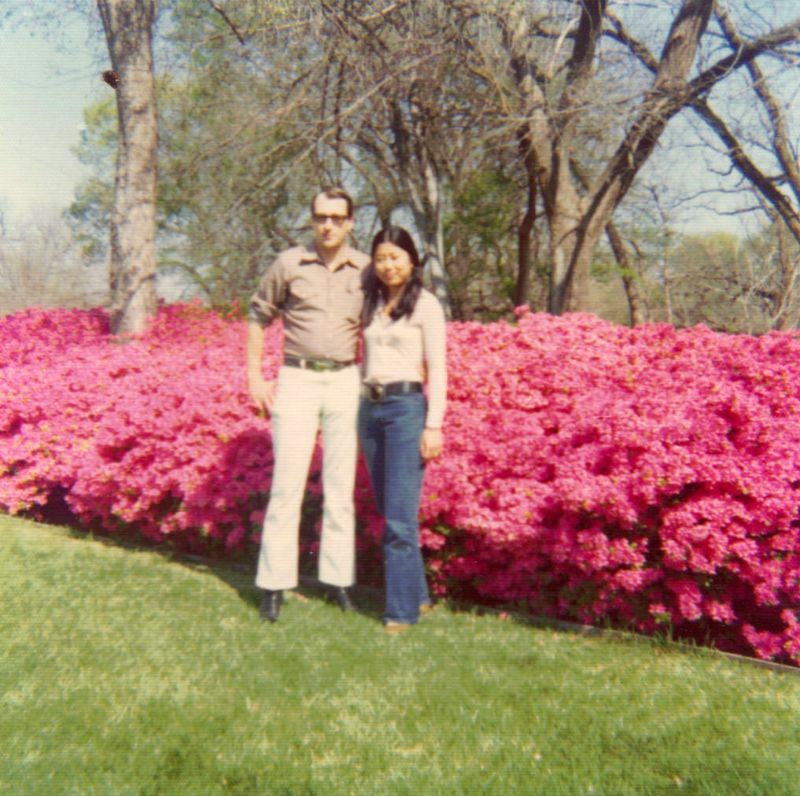 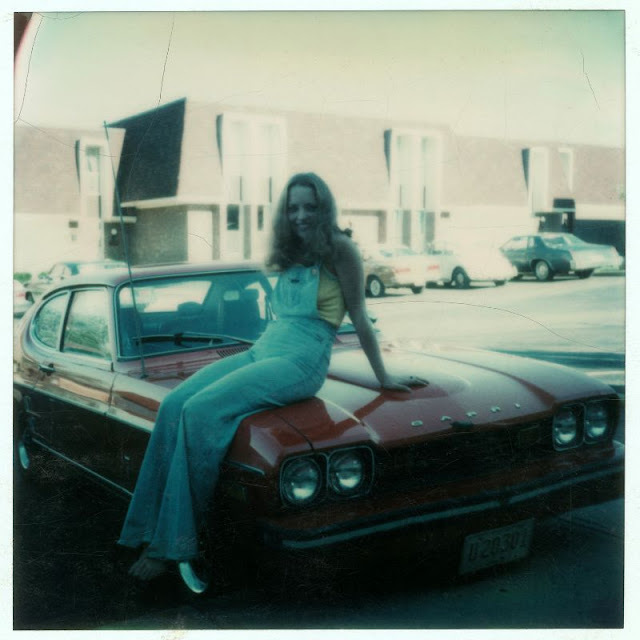 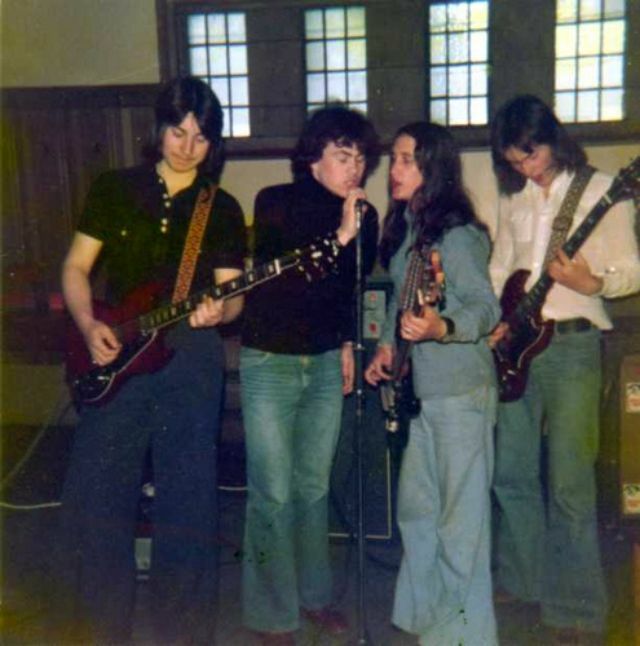 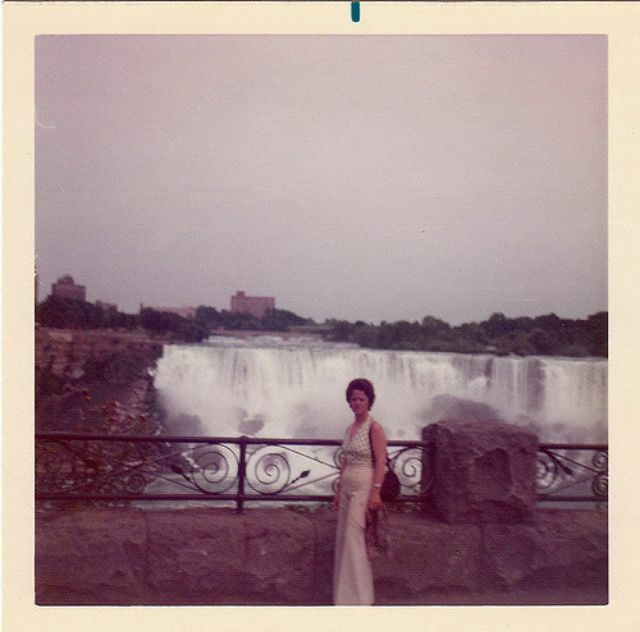 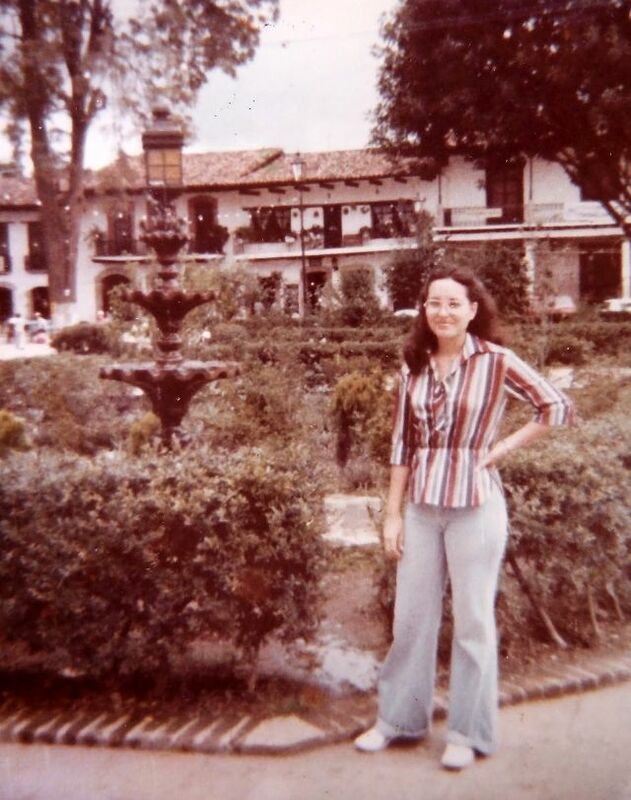 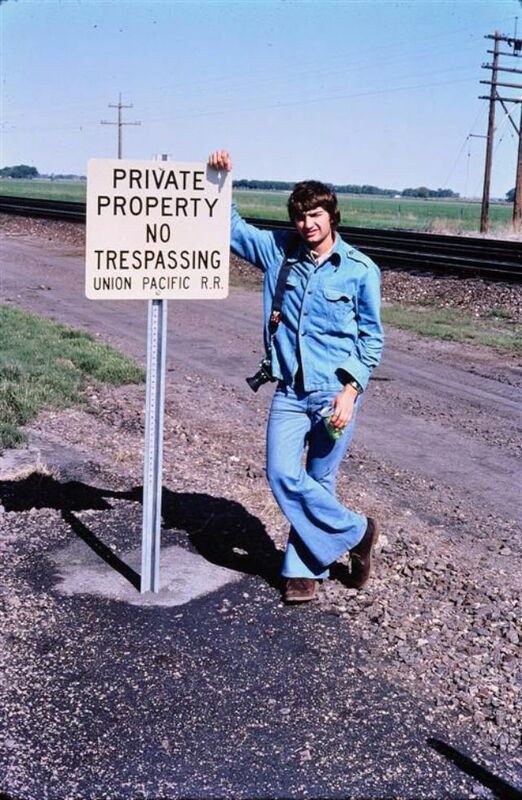 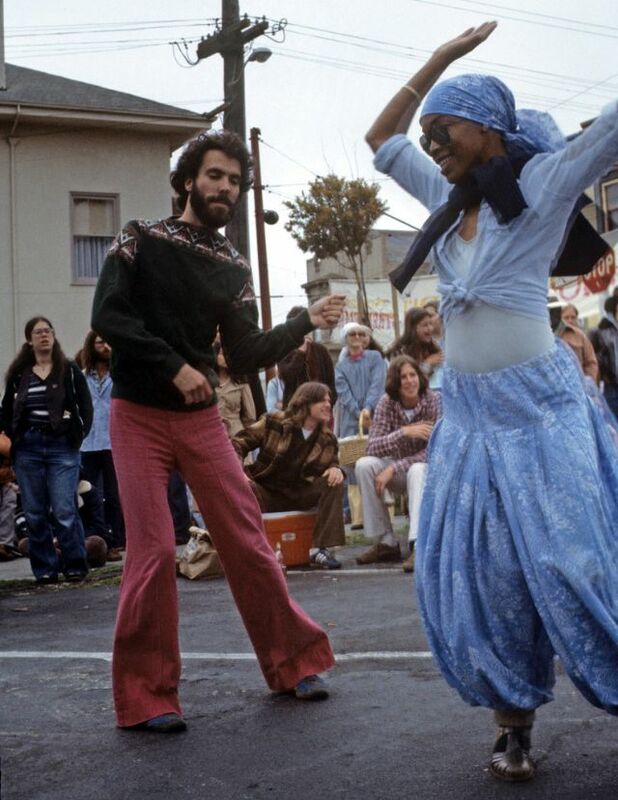 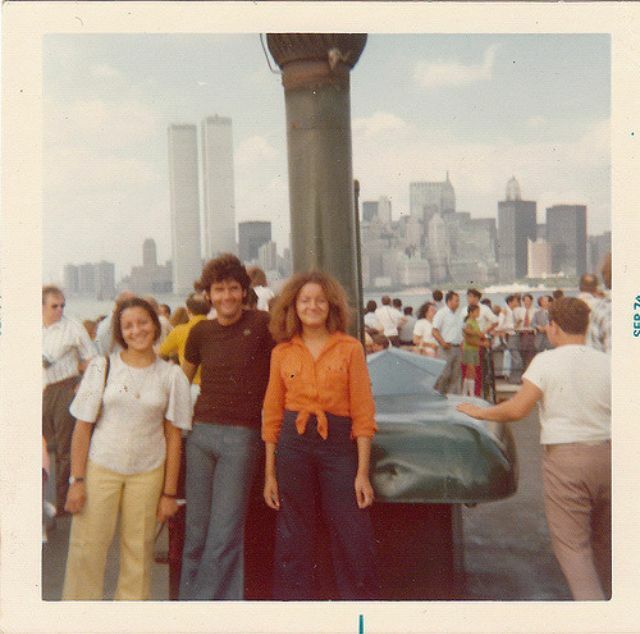 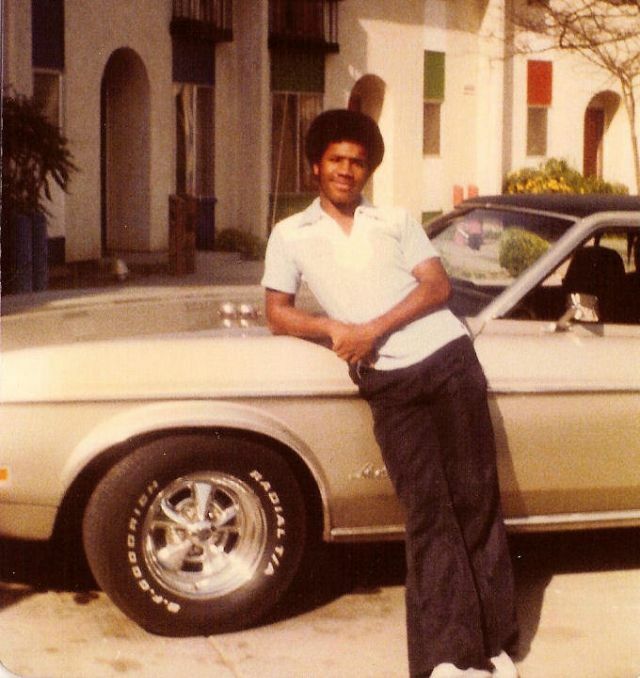 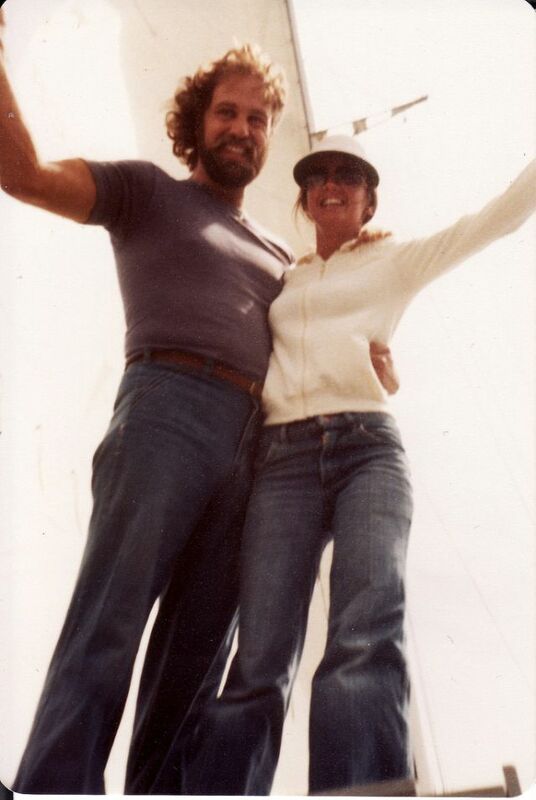 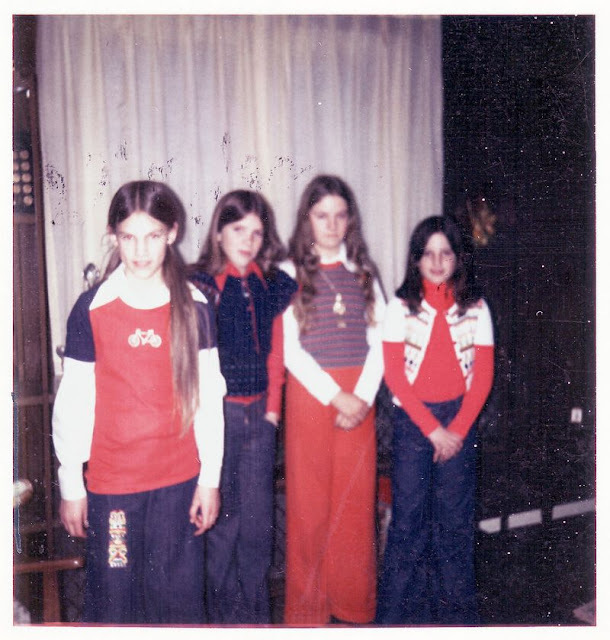 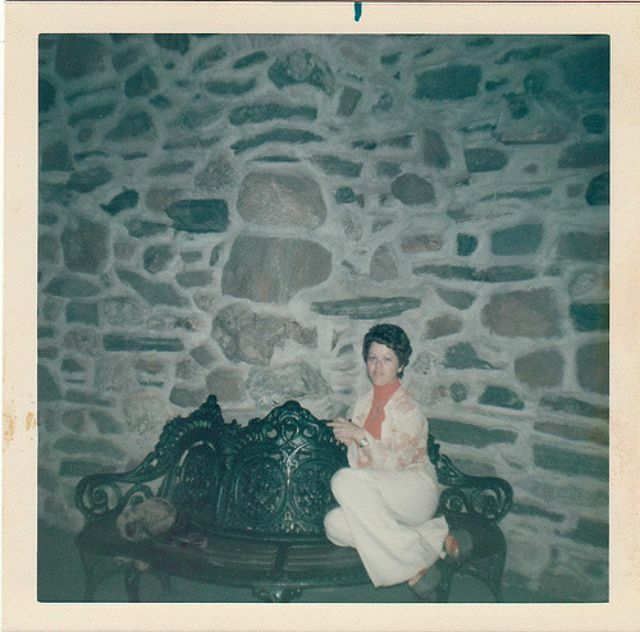 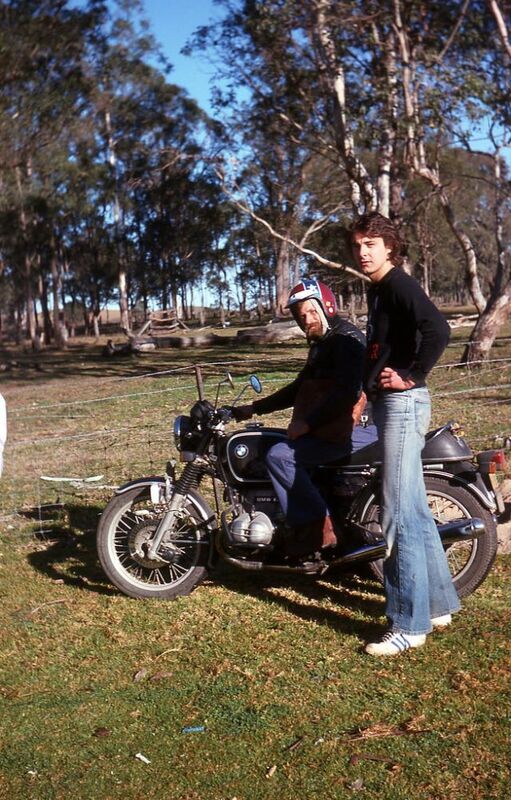 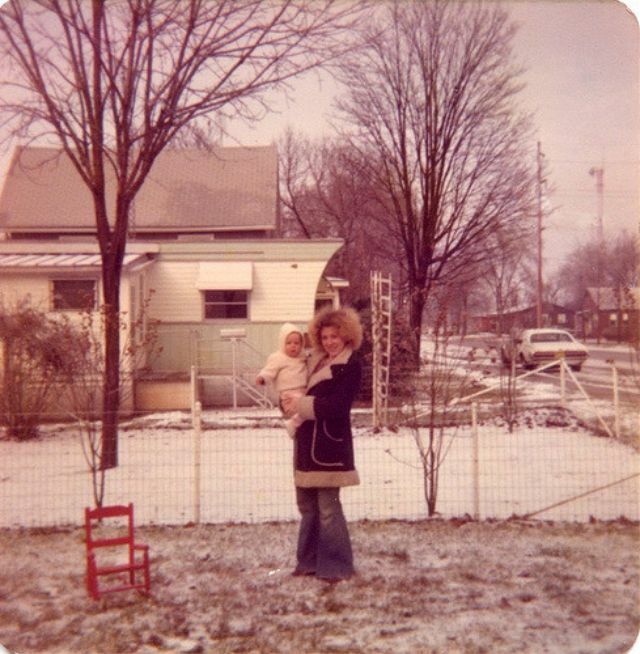 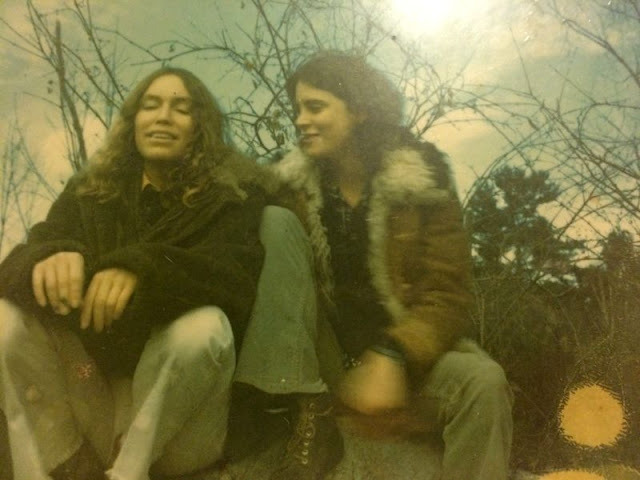 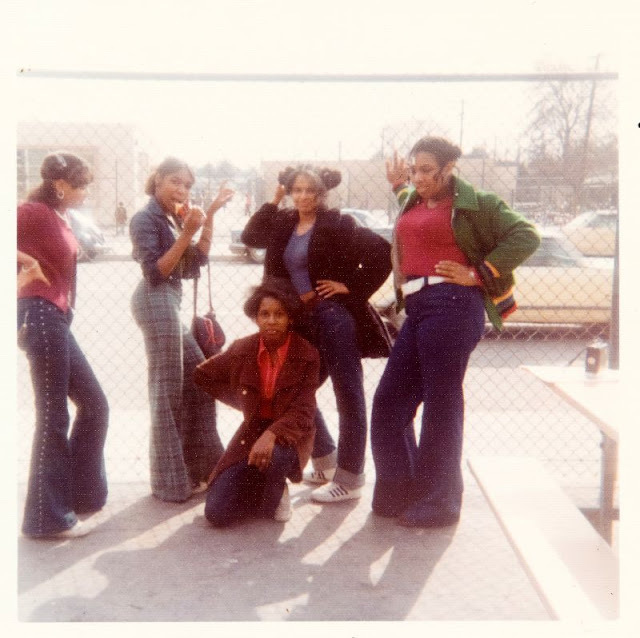 Take a look at these snapshots to see people in their bell-bottoms from the 1970s.